As we celebrate the 50th anniversary of Star Trek, we look back on the impact the famous TV show has had on our lives. It is clear to see that Star Trek has inspired many inventors and scientists to conjure up real-world equivalents of the many gadgets and technology seen in Star Trek and its spinoffs. Just look around you and see what Star Trek has inspired. Go answer the call coming into your cell phone. Back in the old days you could not carry that phone in your back pocket. 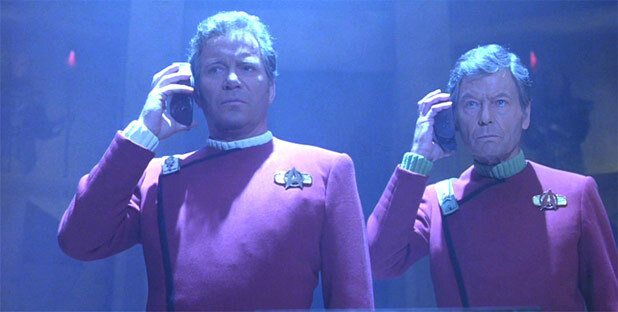 Thank Star Trek for allowing us to carry our phones around and for many other improvements. That is just one example of an everyday piece of technology inspired by a fifty-year-old TV show. 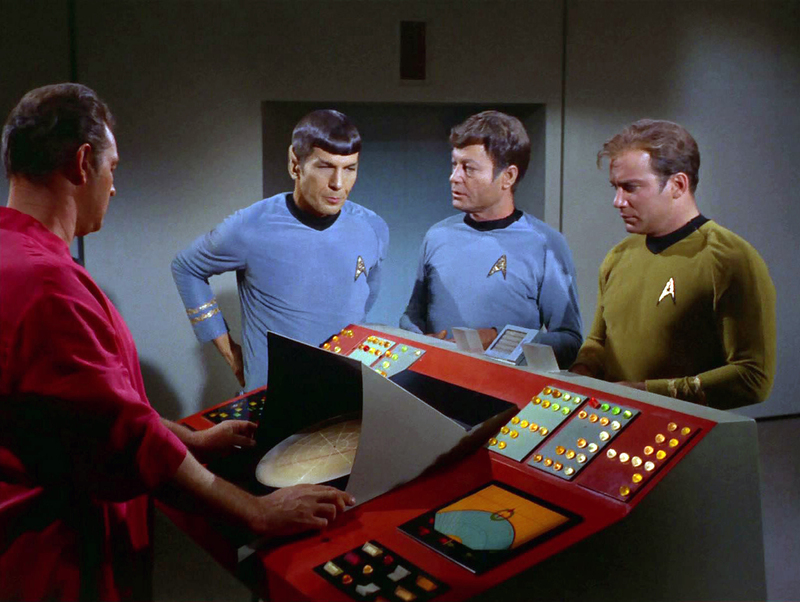 Some devices, of course, existed before the TV show like automatic doors, but Star Trek popularized the real-life inventions and made them common place. Now many inventions and technologies still elude us today like faster-than-light travel and teleportation. Or the technology is still crude and in its infancy like 3D printers. That does not mean we should just dismiss them as fanciful sci-fi dressing. As shown with communications technologies, it is possible with enough drive to be able to create warp drive engines or anti-gravity boots and much more. Many scientist are feverishly trying to crack how to propel spaceships past the light barrier and it may take centuries but it can happen much sooner thanks to the drive and inspiration of the legendary TV show. Star Trek has and continues to light up the imagination of those that will create the next revolutionary technology. Be it in medicine with nanites or just trying to imagine the practicality of energy shields. Even if the devices and tech seen in Star Trek may be unrealistic it does not mean that we should not dream about recreating them. What makes these instances of real life catching up to science fiction so unique is that these inventions are practical and have changed our lives for the better. That is something to be proud of as a Star Trek fan. Whether the Star Trek technology directly or indirectly inspired or popularized real-life inventions or if it still lies in the realm of fiction here are the ten best Star Trek inventions/technology. 10. Universal Translators: Sure we have translator apps and the Rosetta Stone software but can they translate Vulcan or Bajoran? Well, maybe Klingon given the popularity of the alien tongue with fans. 9. Personal Ear Receivers: The original Bluetooth! 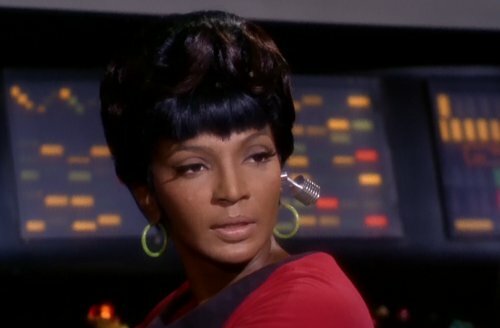 This bulky doohickey was often worn by Lt. Uhura while performing her communication duties on the Enterprise bridge. They may look silly but turned out to have had real-world applications. 8. 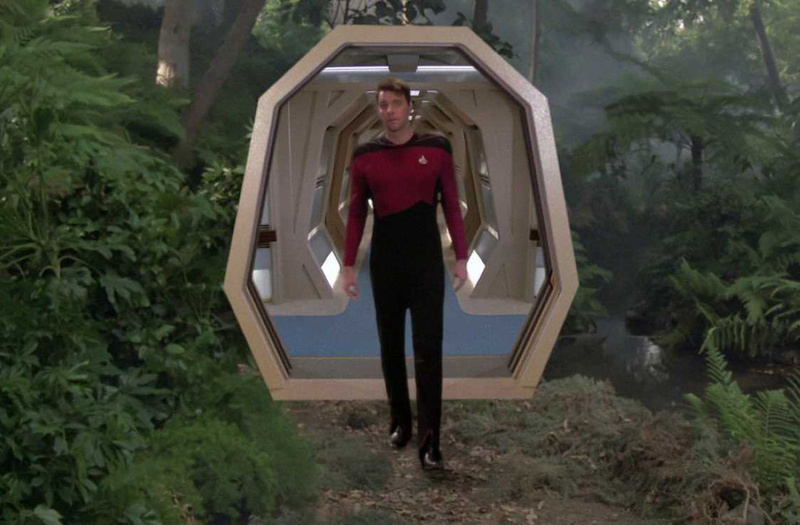 Transporters: Star Trek did not invent teleportation but it popularized it with the budget-saving idea of instantly transporting the show’s characters to different planets. In real life, scientists have begun experiments with teleportation though it will be centuries if not millennia before we get actual transporters. Don’t fret because seriously who wants to be disintegrated then reassembled? 7. 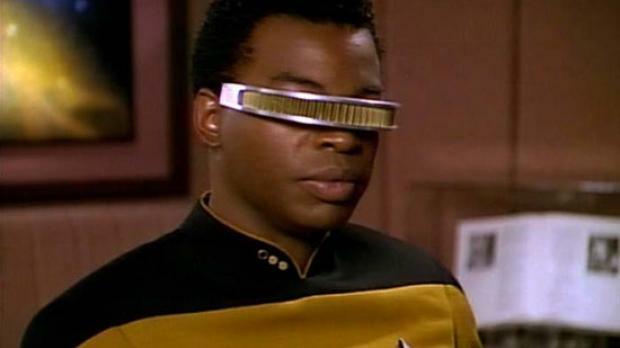 VISOR: Short for Visual Instrument and Sensory Organ Replacement, this device allowed Geordi La Forge in Star Trek: The Next Generation, who is blind, to see in several visual spectrums and even pilot the Enterprise. Despite its goofy appearance, the VISOR is an inspiring future invention for the visually impaired. 6. 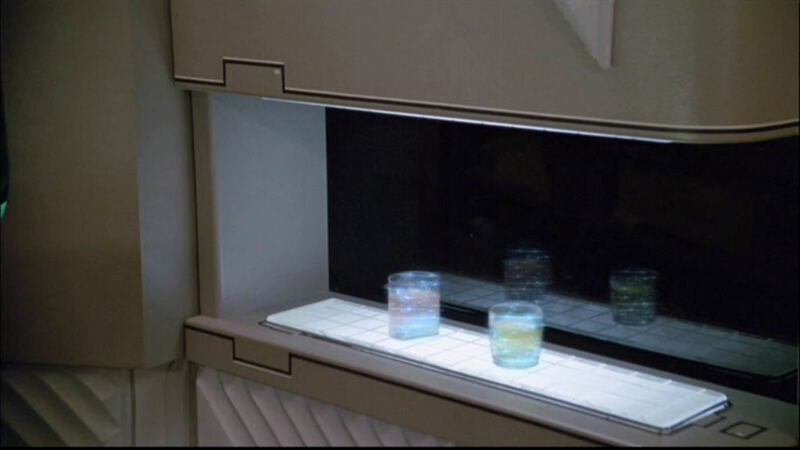 Replicators: This machine eliminates the need for cooking, cleaning dishes and even storing specific supplies of any kind. Just tell it what you want and in seconds it creates your order. Today’s 3D printers can make pizzas and other items are a primitive precursors for replicators which can instantly prepare food and other materials, but we’re getting there. 5. 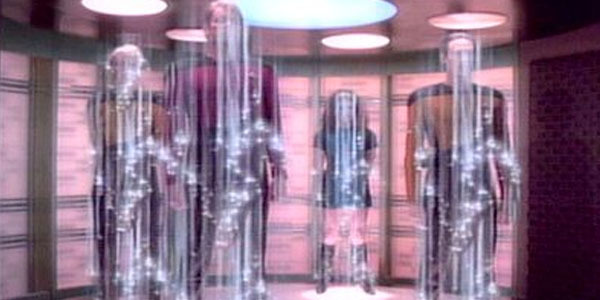 Holograms: This technology has existed in real life and has been used by other sci-fi stories, but Star Trek: The Next Generation truly took holographic technology, ran with it and showed its many uses. were the holodeck which could create interactive environments only restricted by imagination and with Star Trek: Voyager’s holographic doctor. 4 Phasers: Energy based weapons have existed in science fiction for the longest time and Star Trek followed the tradition with its own version: the phaser. The look of the phaser in the shows and films have changed dramatically looking more lethal and aesthetic but the powerful weapons are and will continue to be a mainstay for Star Trek and the object of desire for weapons buffs. 3. Warp Drive: Traveling faster than the speed of light is the holy grail for science as we know it. Somehow in the world of Star Trek humanity figured out how to accomplish this feat and Star Trek has inspired many scientists to investigate how to get humanity to the stars. It’s what will allow us to explore strange, new worlds. To seek out new life and new civilizations, we know the rest but the only way to do those things is to bridge the wide gap between stars and worlds through the warping of space. According to Star Trek lore we did it in the 2060s. Let’s hope this prediction comes true. 2. Tricorders: The compact and mobile mini-computers that came with numerous useful apps like history files, scanners and whatnot looked more like an old-fashioned tape recorder. By the time that Star Trek: The Next Generation and the other spinoffs came along, tricorders were more compact and that show introduced the PADD (Personal Access Data Display) which looked and functioned just like today’s tablets. 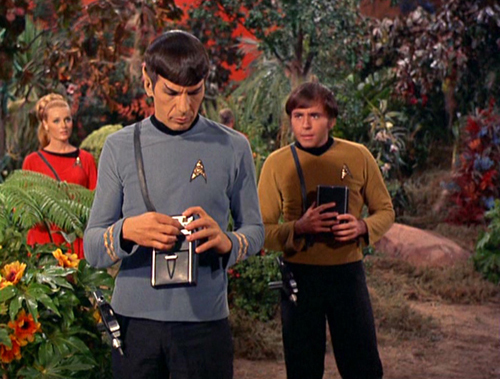 While smart devices may be more powerful and app friendly than the tricorders, the Star Trek devices could function without wifi connections and seemed to have longer battery life. But reality is catching up fast. 1. 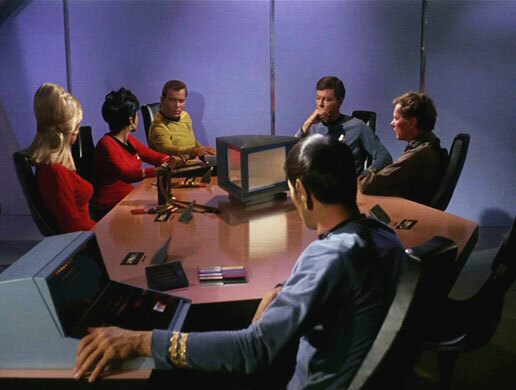 Communicators: Who would’ve imagined that the portable telephones first shown in Star Trek fifty years ago would be so commonplace today? This is one case where the reality not only caught up to fiction but surpassed it. However, while the communicators didn’t allow for private conversations, video calls or could download apps, but they had incredible range. 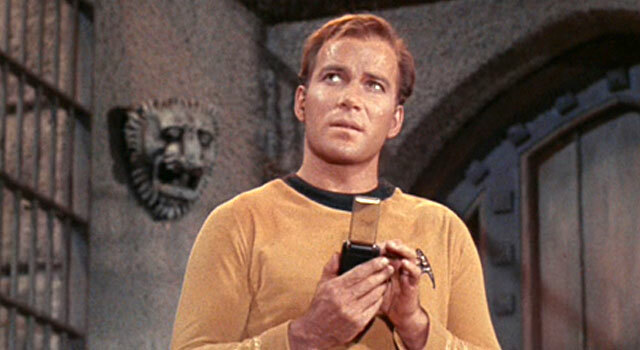 More importantly, their existence in Star Trek decades ago directly inspired cell phones and smartphones. As the new shows came along, the handheld devices gave way to wearable ones, which has just emerged in real life thanks to Apple and other companies. It’s amazing how so much of the technology featured in Star Trek has now come to be and the fact that the series inspired the creation/development of various devices is fantastic. How many SF franchises can stake a claim on that? Exactly! Cool as lightsabers are they are not practical for everyday use, try getting one of those through the TSA, with a communicator (i.e. cell phone) you would not have any issues.